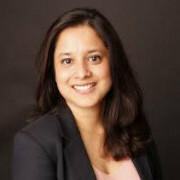 Dr Irfana Koita, is the founder and director of IVF Matters, the UK’s 1stonline fertility clinic. She is a fellow of The Royal College of Obstetricians and Gynecologist’s (FRCOG) and has achieved a Masters in Healthcare Leadership from Cornell University, USA. She has over 15 years of clinical experience in the field of assisted reproduction. She is passionate about improving the patient care and provides personalised, affordable and easily accessible fertility treatment with high success rates. Her clientele ranges from those who have started their journey to parenthood to those who want to preserve their fertility. IVF Matters is a UK wide fertility service that offers affordable fertility care from the comfort of your home. We are a multidisciplinary team and provide personalised, consultant led fertility care with high success rates. In less than 4 weeks we will help you discover what's preventing you from getting pregnant so that you can take control of your journey to parenthood.